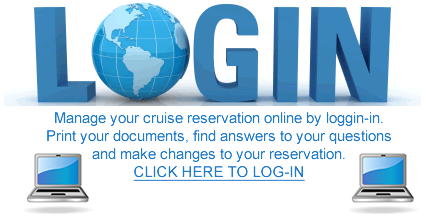 Travel Insurance Included With Cruises 5 nights or longer - Click Here For Details! I had a lovely stay at your cruise. Everything was so simple and easy to follow. We booked two days before departure and everything went perfect and smoothly! We were a large party of 39 people. We booked more than 10 cabins of which 4 were on the bottom , making the 3 nights a disaster with the constant super loud noises the made it imposible to sleep. During one we all had to call the front desk to complain and my son had to go personally at 6am to the front desk were there was a long line of people. The cruise was great. I brought a guest who never was on cruise and she loved it. We will definitely cruise again. It was my first experience in a cruise and I did enjoy it very much. The quality of the people providing services is Excellent. As note before, you may want to ensure passangers are aware of the volunteer changer for services prior they receive the invoices. It looks like deceiving when the information is not clear. I would like to think that I miss the part where the cruise line informed me of those charges. Other than that, excellent experience. It was a great experience! We loved our Stewart that cleaned our room, His name was Rodney! Although this ship is older, it remains clean and kept up the entire trip. The staff is friendly, but not all that attentive around the pool or at the 24 hour pizza- always a line. The cruise "party" crew were fun, but they never seems that into the pool party or the planning of the event. It ended before it started, they always were watching the time. The dining room staff was awesome. although some nights dinner took over an hour, just waiting. Our waiters, Jose, Jr., and Daniella, were great! Very polite, friendly, and personable. It was nice seeing them every night. Overall, it was a nice, relaxing vacation. Time to rest, time to party, and time to explore. That is the great thing about any cruise, you do what you like to do. FOOD IS EXCELLENT AT THE DINING ROOMS CURSIONS ARE NOT SO GREAT, EXPENSIVE. food in dining room was very good.Staff was very pleasant and helpful.Cruise director was very funny. unfortunately rough sea day caused beach excursions to be cancelled and getting from the tender back onto the boat was a challenge to say the least,had to run over the gangway ducking your head as the wind was lifting the gangway up. Dining room food selection & quality was below our expectations. Quality of entertainment was not up to level of previous cruises. Service at stateroom and dining room was at or above expectations. Carnival Victory was horrible, would never use Carnival again due to this ship and crew. Food was never hot, only lukewarm or cold and wasn't even great quality you would expect. Staff was poor. In the hallways they would try to beat you around an object in the way rather than step aside and let you pass. Our dinner service spoke down to both server assistants every night during dinner right in front of us. Brunch server was horrible, made mistakes, poor attitude. Buffet times ridiculous. Every time we got back from an island to the boat the buffet was closed to set for dinner. Yet one day it would be 330 then next 3 the last 230 so it didnt make sense. The last day at sea was the 230 day which was just unreal. 24 hour pizza would be an hour wait. Mini golf poor to play at night, very little lighting. Water slide shut down by dark...why? The shows werent of great variety and strength but the crew was very good and personable with bingo and the newlywed game, other stuff like that. Private island of Half Moon Cay very good, best beach I was ever on. 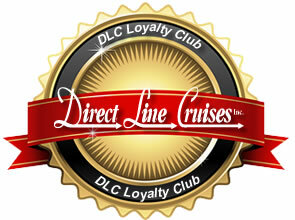 Incredible cruise deals and savings await you within the DLC Loyalty Club.